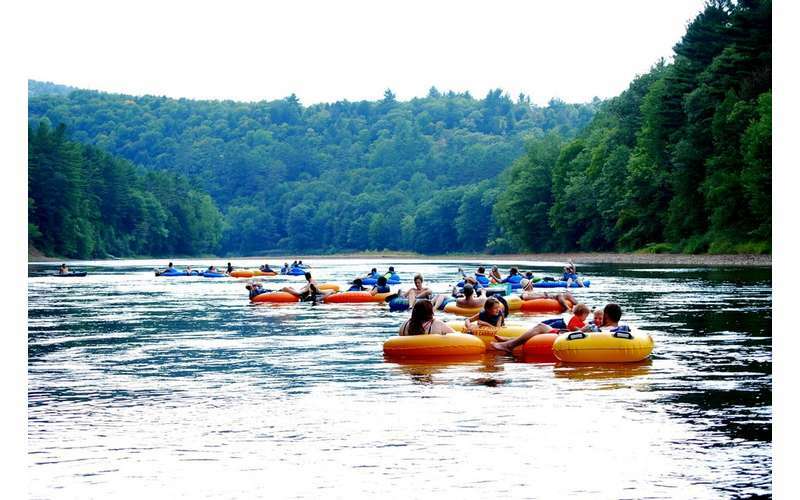 Experience a family-friendly tubing adventure in the Adirondacks! 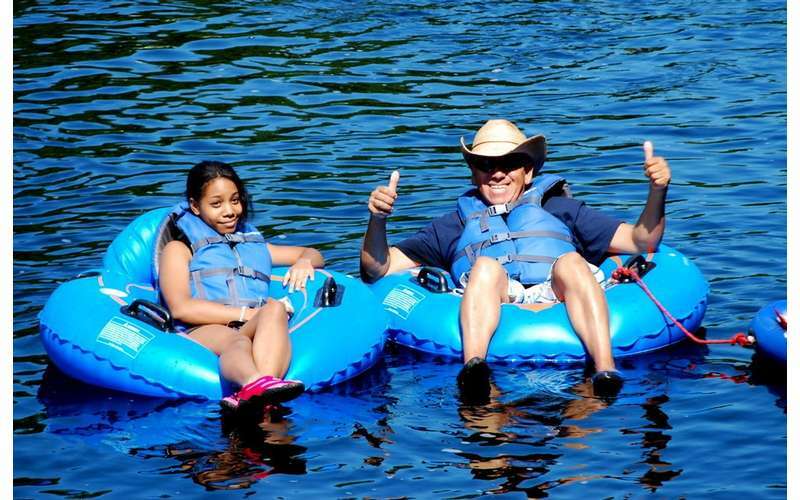 Adirondack Adventure Center is an outdoor family fun destination featuring lazy river tubing and rafting (ADK Tubing Adventures) and a fantastic treetop adventure course (ADK Treetop Adventures). Based in Lake Luzerne, NY in the Southeastern Adirondacks, these two attractions are the perfect way to spend a sunny day! 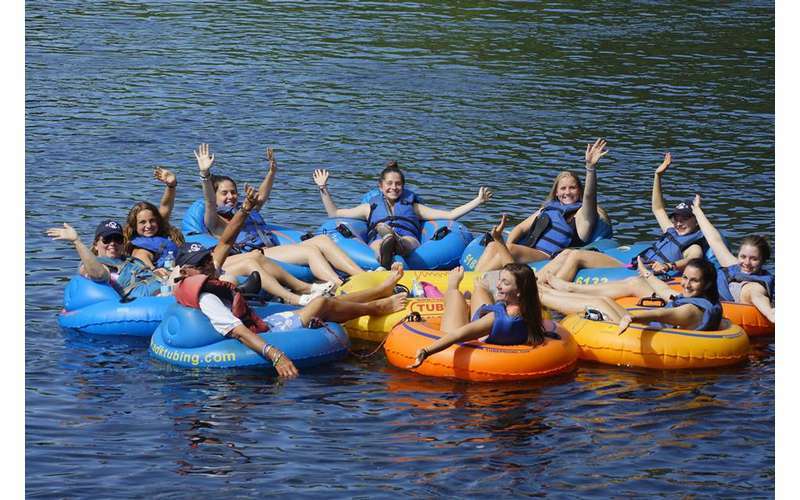 See why tubing and rafting are some of the most fun Adirondack family activities by planning a trip with ADK Tubing Adventures today. 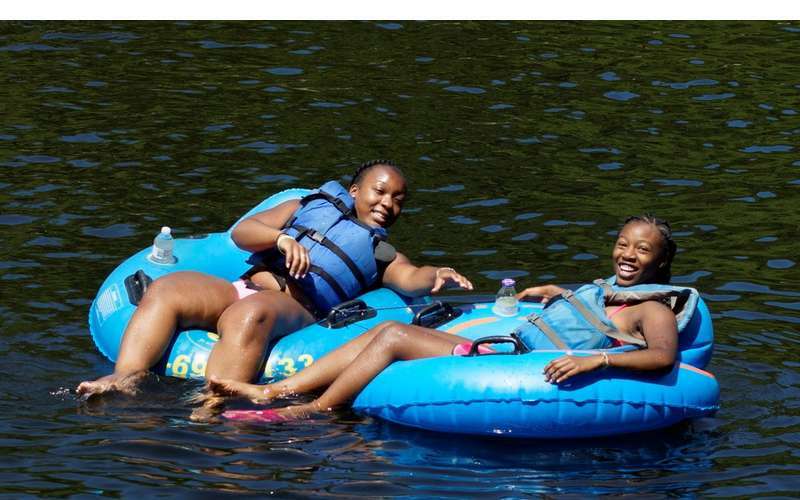 The company's lazy river tubing and rafting adventures are ideal for families because they feature calm, pristine waters that are only between 2-4 feet high. All you need to bring is footwear, swimwear, sunscreen, and a towel; the company will provide tubes, rafts, life jackets, and transportation to and from the river. 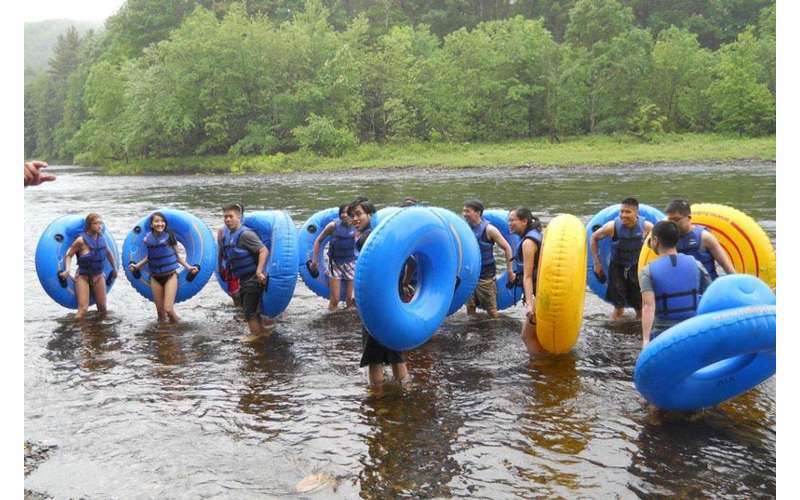 River adventures are about 2.5-3 hours long, and there are options to sign up for a lazy river tubing trip individually or as part of a larger tubing group (10-19 people and 20 or more people). You can also rent a raft if that's what you'd like to try. At Adirondack Adventure Center's base of operations in Lake Luzerne, you can explore the treetops at their outdoor adventure course! Their state-of-the-art treetop course includes many exciting features, such as high-speed zip lines, pogo posts, horizontal tires, and an optional 63-foot tall Quickjump XL freefall device. The course is great for team building, family bonding, adrenaline junkies, and more. Enjoy a day on the river and in the great outdoors by making your reservation today! Staff was amazing, friendly and knowledgeable about the river. An awesome girl named Aurora told us all about what to expect. Great time eith my family. Lori the bus driver was a true professional. Absolutely awful. Nothing was as advertised. In the end the owner tried to blame everything other than their own poor organization. Literally the worst tuning experience ever.